Intercontinental Hotels Group (IHG) will open the Crowne Plaza Oman Convention and Exhibition Centre in 2016. 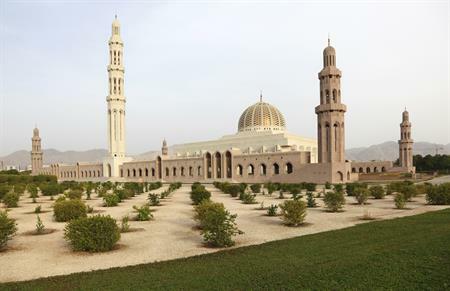 The Grand Mosque in the Muscat, Oman. IHG has signed an agreement with the Oman Tourism Development Company SAOC (Omran) to open the hotel and convention centre in Muscat. The 296-room hotel will be the second Crowne Plaza hotel in the capital and the fourth Crowne Plaza hotel in Oman. The new-build property will feature extensive meeting and event facilities with a separate function centre that will include a ballroom with terrace, a boardroom and three large meeting rooms. The hotel will also offer five food and beverage outlets, including a rooftop restaurant. There will also be private outdoor relaxation zones with female and male Jacuzzi pools, 150 m2 fitness zone, two pools and a children’s playground. The new property is a part of Omran’s Oman Convention and Exhibition Centre (OCEC) development which is due for completion in 2016. Located 10 minutes from Muscat International Airport, the mixed-use, purpose-built precinct will feature a state-of-the-art exhibition centre with 22,000m² of exhibition space. The OCEC overlooks a Wadi (a natural waterway) and extensive parklands, and will also include a shopping centre and business park. H.E. Nasser bin Khamis Al Jashmi, chairman of Omran, said: "[This] marks a pivotal milestone in the development of the much anticipated OCEC as we sign with the first hotel operator to handle one of a series of planned hotels to complement this mega project. "By formalizing this agreement with our preferred and trusted partner IHG to operate the five-star facility, we are taking another step forward to establish the Sultanate as a favoured destination for the regional and global meetings and exhibitions industry." Pascal Gauvin, chief operating officer for India, Middle East and Africa for IHG, said: "Omran’s Convention and Exhibition Centre is set to put Muscat on the MICE industry map. The alignment of the Crowne Plaza brand to the project makes perfect business sense for us - and for our guests, who will be able to utilise OCEC’s world class facilities at their doorstep. We are delighted to continue to be a part of the Capital’s exciting expansion plans." IHG has four more properties in the pipeline for the cities of Muscat, Salalah, Sohar and Duqm.